Sister Dolores Ellwart was born in DeSmet, Idaho, in 1929 and ministered to Native American families on the reservation for 40 years before moving to Spokane. She is delighted when Father Bob Erickson comes to Emilie Court in Spokane to take her to lunch and tell her about the community she so dearly loves. She is pleased that the church is still there and that the site where Mary Immaculate School burned down is a park with student pictures displayed from over the years. “I miss the fields and watching the crops grow. I miss the people, especially the elderly, but I don’t mourn,” she said. She was born the eldest of four children of a father who was foreman of a dairy farm owned by the Sisters of Providence and a mother who was a nurse and an enrolled member of the Coeur d’Alene Tribe. Dolores attended grade school at Mount St. Joseph Academy in Tekoa, Washington, and high school as a boarder at Holy Names Academy in Spokane. After graduation in November 1947, she entered the Providence community in Seattle. She wanted to become a nurse, but was sent to teach. She has a bachelor’s degree in education from the University of Great Falls and a master’s degree in library science from the University of Portland. 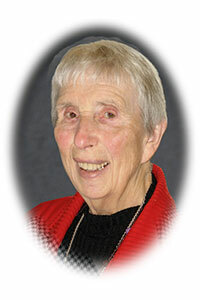 Sister Dolores, a member of Sacred Heart Province for five years, taught in most of the grade schools in the former Sacred Heart and St. Ignatius provinces. She returned to DeSmet in 1965, teaching all of the grades at Mary Immaculate School until they were split into two grades apiece. She also was superior and principal. When the school closed in 1974, she became parish minister at Sacred Heart Mission. She also chaired the school board at the Coeur d’Alene Tribe’s school. Generations in DeSmet met Sister Dolores as children she prepared for First Communion and Confirmation. She taught them religion as youth and adults, and she visited the elderly and the homebound in Worley, Plummer and DeSmet. She was at three Masses each Sunday and community events, and on weekends would travel to Spokane to be with the other sisters. Today, she and other sisters at Emilie Court gather for prayer and special occasions, parties, feast days and dinner outings. Priests come to offer Mass daily. Sister Dolores, 87 this year and the only Jubilarian living in Spokane, will celebrate with a simple liturgy and reception at Mount St. Joseph. Her advice for young sisters: “Be yourself and work with the people to help them get closer to God,” she said. “It’s so different now, so few sisters. You are a representative of the community by yourself, almost.” She knows exactly what that’s like.